Aeroprobe Corporation is introducing what may be the world’s smallest multi-hole probe to its product line. The new seven-hole probe, with a tip diameter of only 0.7 mm, is the latest addition to the company’s line of flow measurement products. These products are used across industries where flow measurement is critical, including aerodynamics for automotive research and flight characterization for unmanned vehicles. The miniature probe can be implemented in a range of applications but will be a game-changing tool for researchers and engineers who need to measure flow near walls or in small spaces, such as in turbomachinery. The probe is expertly crafted from materials that are carefully selected to ensure durability and longevity. Despite its small size, it can make measurements over a wide range of flow angles and has a relatively fast response time. Aeroprobe is debuting the new miniature probe this week in Norway at ASME Turbo Expo, an annual turbomachinery conference and exposition. Interested customers can stop by booth #423 to see the new probe in person and learn more about Aeroprobe’s other products. 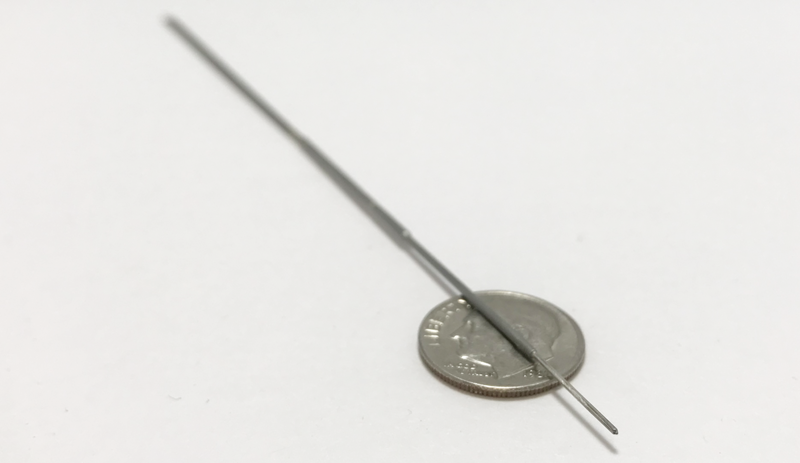 Contact us for more information about the 0.7 mm 7-Hole probe.